Steven A. Kodad, 60, of McCook, died Monday, June 27, 2016, at the CHI Good Samaritan Hospital in Kearney. Steven A. Kodad was born December 14, 1955, in Columbus, Nebraska to Melvin and Mercedes(Saalfeld) Kodad. He grew up in Richland, graduated from Schuyler High School and Wayne State College. 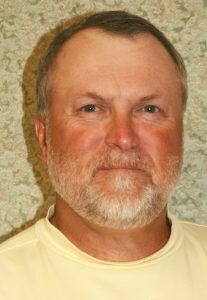 Steve loved photography, golf, Nebraska football and was currently the Sports Editor of the McCook Gazette. He had previously worked for the Columbus Telegram, the Evanston, Wyoming paper and had driven a Budweiser delivery truck in Evanston. Steve is survived by his sister-in-law, Betty Jo Kodad of Columbus, two nephews, Jim Kodad of Manhattan, Kansas and Jeff Kodad of Lincoln, a niece, Katie Kodad of Lincoln, aunts, uncles, cousins and many friends. He was preceded in death by his parents and his brother, Terry Kodad.